I have seen people treating their kitchen equipments like gadgets…literally! Initially, they are so happy buying all of them together, some of them even boasting of the expensive and branded ones. Eventually, these gadgets find a permanent place in the kitchen as decorative pieces, collecting dust…. waiting to be used, waiting to be cleaned. I have built my kitchen gradually. I bought things as and when I needed and now I have an equipped kitchen…well, almost!!! The kitchen story starts with a fabulous set of knives and pans and continues with other cooking pals. Armed with these, there are a lot of jobs you can tackle with ease. Knives: A knife will do the job of both food processor and garlic press. They are an investment as a good set can last many years (20 to 30 years or more) so it is best to choose one will last and work well for you as well as making cooking far easier and more enjoyable. There are different types of knives which serve a different purpose – utility knife, chef’s knife, vegetable knife, bread knife, cleavers, carving knife, etc. So before setting out to purchase knives, consider the type of knife you will need in your kitchen. While buying a knife, hold it in your hand. Its important that the grip sits well in your hand. Look at how much steel is in the knife as well as where it is located. Look for any signs of joining or welding, particularly in the hilt of the knife. This is a weak point in the knife and should be avoided as weak knifes are more likely to bend or break at this joining point. Examine the balance of the knife. The key reason to consider balance is that a well balanced knife makes any cutting action easier and requires less effort. Consider the material the handle is made from. The handle is often made of wood, plastic, toughened resins and other strong materials. Consider the blade itself and what it is made of. Good knives are often made of non-stainless steel (carbon steel), which gives a good edge fairly quickly, but care should be taken so they will not rust. Avoid knives that claim to never need sharpening. Maintain your knives in good, sharp condition. For a good quality set, also invest in a steel and a sharpening stone. Store your knives carefully. A knife block is fine, so is a knife roll which is a cloth pouch. Storing them loose in a tool box or utensil drawer is not recommended. Pans: Construction is the mantra here. Also buy the ones you can afford. Good-quality pans will not only last longer, but the heavier they are, the more evenly they’ll conduct heat, preventing hot spots from scorching your food. 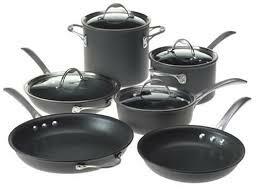 Look for a heavy pan with a copper or aluminium base, and a stainless steel inner lining for ease of cleaning. Copper is preferable as it heats up quickly, cools fast and you have more control. Handles should be big enough and heat proof and secured tightly. So always check the fixings. A sauce pan is worth a buy as it has sloping sides, making it ideal for reducing stocks because the liquid evaporates more easily. Good for cooking anything that needs constant stirring. Oven-proof frying pans are always preferred as you there are few dishes that you start cooking on the stove and then finish it in the oven. If your pan doesn’t already have a non-stick coating, you can season it by sprinkling it with salt and heating it to a high temperature on the hob. Then you throw away the salt and rub the pan with a thin layer of groundnut or vegetable oil. This will give it a protective layer and prevent things from sticking. 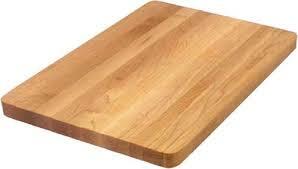 Cutting Board: A plastic or wooden cutting board is a must-have in every kitchen. 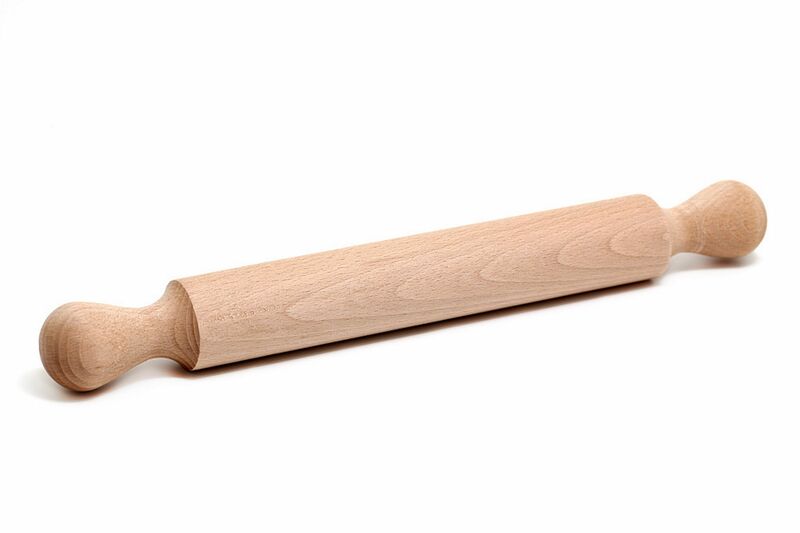 Rolling Pin: Rolling chapatis, parathas or even the pastry dough, rolling pin is mandatory to every kitchen. It can also be used to flatten the meat pieces before frying or beating the biscuits into powder while making a base for any cheese cake. Mandoline: My sis-in-law is the inspiration behind Mandoline finding its way into my kitchen. At a luncheon arranged by her, she had a fabulous veggie salad. I was in awe of different shapes of tomatoes, onions, carrots and cucumbers that she cut with that lightening speed and ease. 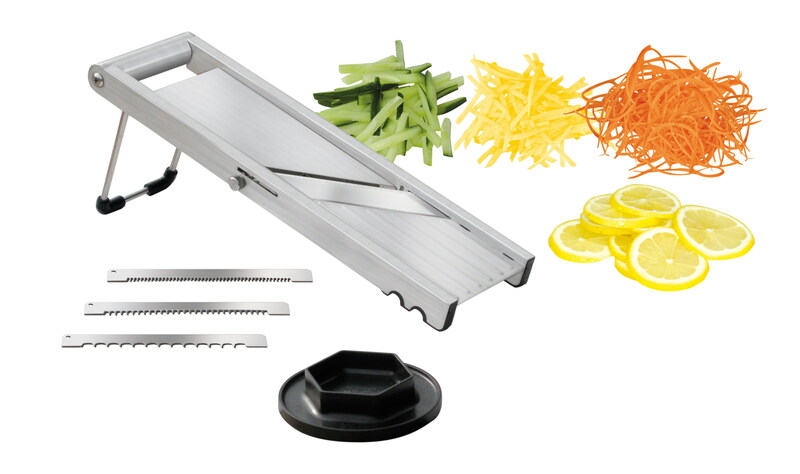 No matter how good you get with a knife, you’ll always be able to slice vegetables more finely and more quickly on a mandoline (a metal, wood, or plastic board with a sharp metal blade built in). Choose one with a good guard to protect your fingers. Mortar and Pestle: I consider this as my mom’s legacy passed on to me. Invaluable for crushing and grinding herbs and spices and lasts forever. 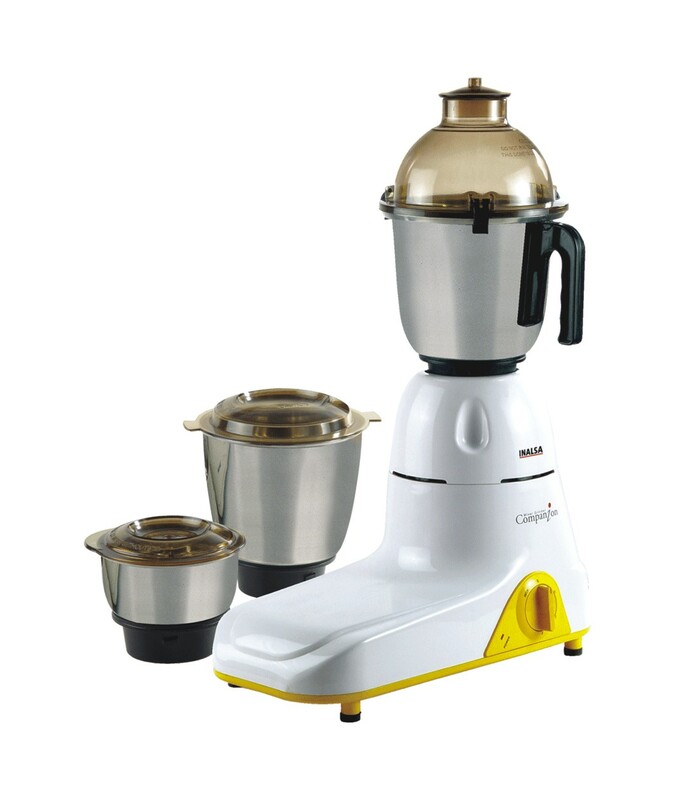 It gives a coarser, more earthy texture than using an electric blender, which is ideal for Asian cooking. It’s also great for pounding garlic to a paste. 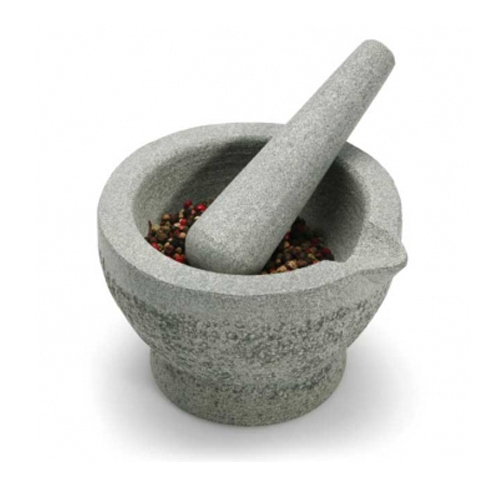 Choose a mortar with a large bowl and a heavy-weight pestle. 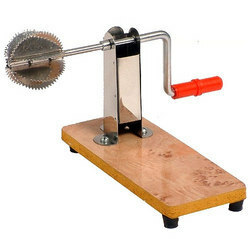 Mixer Grinder: This day and ages, where multitasking is the key, this device is the best bet. From whipping to mixing liquids, kneading dough, chopping spices, veggies, grinding nuts and meat, the humble mixer-grinder is always at your service. Coconut Scraper: A must-have for all coconut-based cuisines. 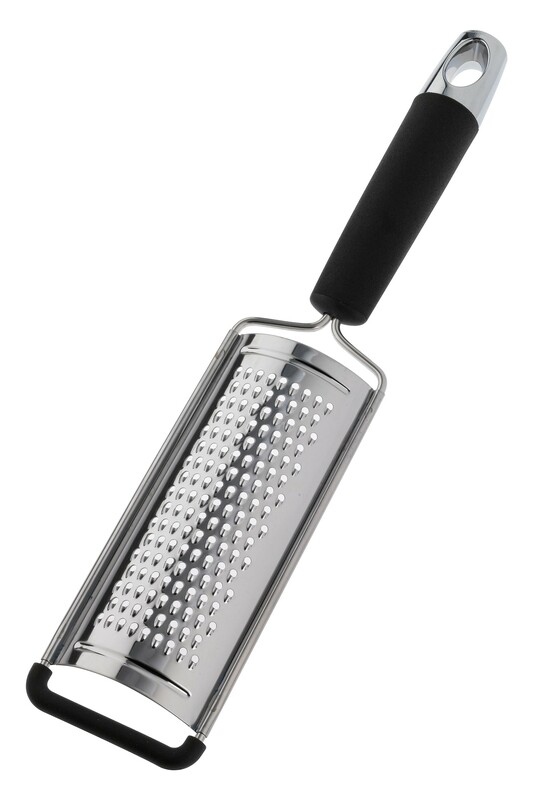 Grater: Graters aid in the preparation of a variety of foods. They are commonly used to grate cheese and lemon or orange peel (to create zest), and can also be used to grate other soft foods like boiled potatoes. 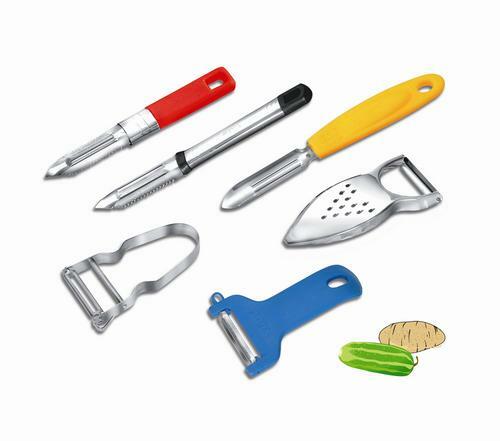 Peeler: Peeling potatoes and carrots was never so easy. Although, I avoid peeling them as the skin is known to be the store-house of nutrients. Sieve: Essential for straining stocks and sauces or for draining vegetables and sifting flour while baking. Choose one with a long handle and a balancing hook so that you can rest it over a deep bowl or pan. 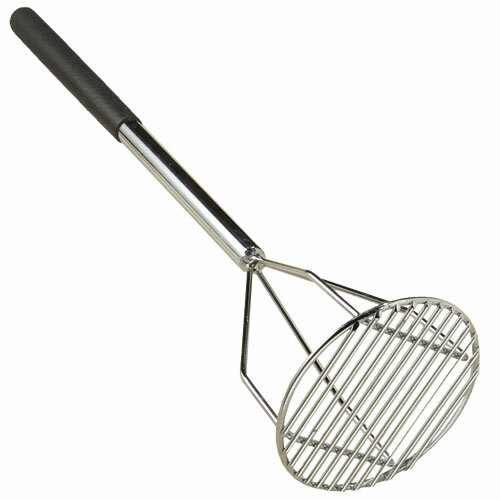 Potato Masher: A potato masher is essential if you want to make silky smooth mashed potato. Or even while making the ever-famous spicy Indian delight the “Pav Bhaji” . 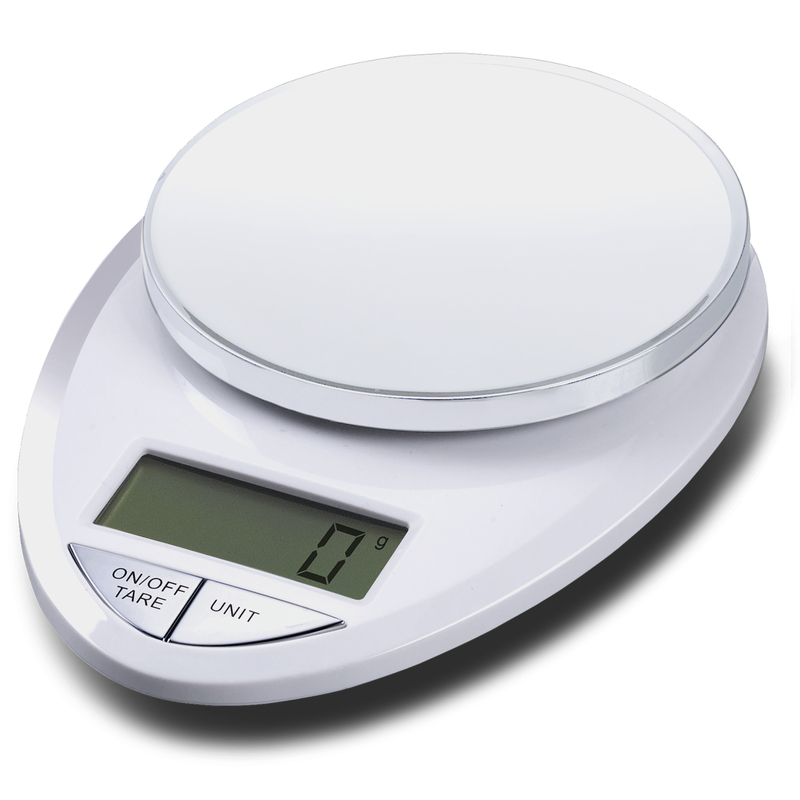 Digital Scale: Digital scales plays a hero while baking. This is because you can weigh things down to the last gram, which is so important to get the desired results. 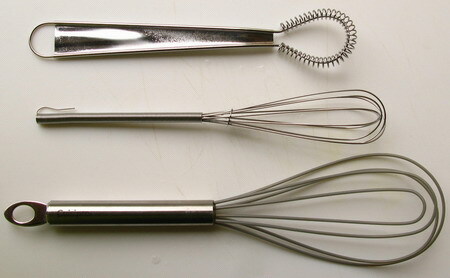 Whisks: Electric whisks are useful for meringues and sponges, but a balloon whisk gives you much more control and makes it less likely you’ll over-whip cream. Buy the best quality you can, and by that I don’t necessarily mean the most expensive. But I do mean something that is built to last. They are no less than an investment that will yield you good returns. Spend money now and these kitchen horses will last you a lifetime, saving you a fortune in the long run.